Marilyn SanClemente November 11, 2016 November 11, 2016 New catalog, New England StampINKers, Occasions catalog, Stampin' Up! 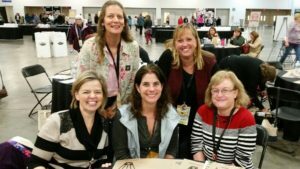 Last weekend was the Stampin’ Up! OnStage event in Secaucus, NJ. I went down with a couple of my downlines and had a great time! We also took two extra days and spent some time in New York City. On Friday we visited the new 9/11 Museum that opened earlier this year… The museum is an excellent presentation of the events of 9/11 and the following days. Very sobering. Saturday was our Stampin’ Up! OnStage event. This is a picture of a couple of my team members and other Demonstrator friends that I was with on Saturday. The highlight is getting the new Occasions catalog that will be released in January. And of course checking out some of the new products! I am not allowed to show any of the catalog at this point. But I did pre-order a few sets and my pre-order will be arriving today! So planning on making some samples over the weekend which I will be able to share with all of you! During these events Stampin’ Up! also recognizes Demonstrators that have reached a milestone in their careers. 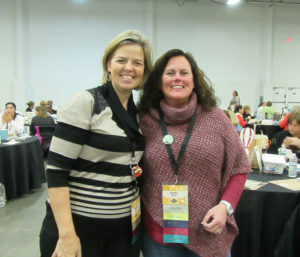 I just celebrated my 15th Anniversary with Stampin’ Up! so was recognized for that achievement! And lastly these are two of my team members that had the top Sales and Recruiting numbers on my team; the New England StampINKers! 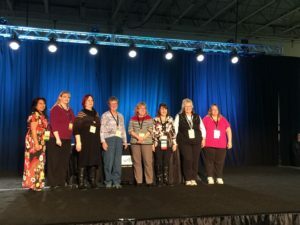 Congratulations to Kathy Bedell and Jeanne Nielsen! I have a fantastic Stampin’ Up! Team! We have such a great time! Interested in joining us? Check out joining my team Here. Then after our Stampin’ Up! event on Saturday, a couple of us went to see Wicked on Broadway on Sunday! What a great time that was! What a great play that is!! It is such a great twist on the story of “the Wizard of Oz”! 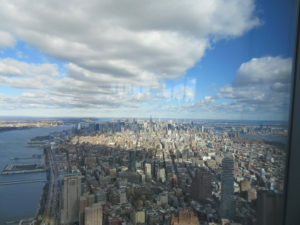 Here are a few other pictures that we took from the top of the World Trade Center Observatory. Stay tuned for a few samples from the new upcoming Occasions catalog!